It was a busy year at the Statehouse as Illinois legislators passed an income tax increase, a significant change to the state’s criminal justice system and reforms to two important state systems, among other bills. Perhaps the most pivotal change to come this year was the abolition of Illinois’ death penalty. Because of the state’s checkered past of false convictions, proponents argued that the state could not in good conscience reinstate the death penalty. More than a decade ago, George Ryan called for a moratorium on capital punishment after several death row inmates were exonerated. Ryan also commuted the sentences of 167 death-row inmates to life in prison before leaving office in 2003. Opponents argued that law enforcement officers need the threat of the death penalty as a bargaining chip when negotiating plea deals or trying to get a confession. Others argued that state should have the option for the “worst of the worst” offenders. “Seven out of 10 of those people on death row when Gov. Ryan commuted their sentences didn’t contest their own guilt,” said Sen. William Haine, a Democrat and former prosecutor from Alton. Former Democratic Rep. Susana Mendoza said she was conflicted about supporting the abolition because she supported the death penalty, but she said her decision to vote for the repeal came after she put aside her own emotions and acknowledged how flawed Illinois’ system has been. “We’ve come horrifyingly close to executing innocent men, and it could happen again,” Mendoza said. After taking public feedback, Gov. Pat Quinn signed the bill and communicated the sentences of all the inmates on death row. The passage of the plan resulted in some savings for the state as well as the elimination of some positions in the office of the state appellate defender's office. Early this year lawmakers voted to increase the income tax rate for the first time since 1989. Legislators voted to make that increase permanent in 1993. This year's temporary income tax hike raised the personal rate from 3 percent to 5 percent and the corporate tax from 4.8 percent to 7 percent. Supporters said that the increase was necessary to get the state’s fiscal house in order. “This mess is a mess that is the responsibility of all of us. … It’s too late. It’s time for us to be adults, face the crisis and figure out together a solution,” said Rep. Barbara Flynn Currie, a Chicago Democrat. However, Republicans argued that Democrats did not do enough to cut the budget. Rep. Roger Eddy, a Hutsonville Republican, said that GOP calls for spending cuts have been ignored for years. “The time to be adults was eight years ago, when we were expanding programs,” he said. The measure also includes spending caps for the next four fiscal years. The limits would be $36.8 billion in Fiscal Year 2012, $37.5 billion in FY 2013, $38.3 billion in FY 2014 and $39.1 billion in FY 2015. If legislators spend more, the tax increases will be nullified. Worker’s compensation reform was a top priority for all four legislative leaders and the governor at the beginning of the spring 2011 session. Lawmakers approved and Quinn signed a reform package backed by several business groups, but detractors were skeptical about how much money employers would save from the plan. The negotiations over workers’ compensation reform were tense. and at one point the bill’s sponsor — Rep. John Bradley, a Marion Democrat — threatened to call a bill that would have dismantled the entire system. The legislation that passed in the end reduces the fees paid to doctors for treating employees by 30 percent, creates new rules for the appointment of arbitrators, who decide the outcome of claims, and requires the use of American Medical Association standards when determining workers’ level of impairment from injuries. Teachers unions, education reform groups, administrators, business leaders and parents' organizations worked together on an education reform package that was generally agreed upon by all groups. The plan changes the way teachers are granted tenure, hired, fired or laid off. Under the new law, teachers have to receive positive evaluations for three years to receive tenure. Teachers who earn “excellent” reviews in each of their first three years will also earn tenure. Teachers with tenure who receive two unsatisfactory reviews within a seven-year period could have their teaching licenses reviewed by the state superintendent and be required to complete professional development geared toward improving their performance or face having their licenses revoked. Layoffs will no longer be decided on a “last-in-first-out” basis but instead will be determined by qualifications and job performance. Seniority will only be used as a “tie-breaker.” Administrators will be free to hire any candidate for new positions instead of giving preference to teachers transferring within the district. The measure also makes it easier for districts to fire underperforming teachers. “With this bill, we’re going to ensure that the better teachers stay and the lesser teachers go,” said Palatine Republican Sen. Matt Murphy. Half of teachers’ evaluations will be based on student performance under the new system that starts to kick in at different times for different schools based on size and student performance level. Most schools must switch to the new evaluations by 2016. Rep. Monique Davis, a Chicago Democrat who cast the lone vote against the legislation in the House, said aspects of the bill that apply only to Chicago Public Schools, such as a greater threshold for going on strike that requires the support of a supermajority of voting union members, were discriminatory. “The intentions are good, but the results will not change a thing. I’m not going to be a union buster,” the former teacher and administrator said during floor debate. Unions outside of Chicago will need the support of half of union members to strike. The measure lengthens negotiations required before a strike and would force both sides to release their demands to the public if an impasse is reached. The two largest utility companies in the state will be able to increase customers' rates to make improvements to the state's electric grid and add so-called smart grid technologies. The plan allows Ameren and Commonwealth Edison to increase customers’ rates 2.5 percent annually to pay for improvements to the state’s electric grid ranging from basic repairs to poles and lines to cutting-edge technology that could allow utilities to prevent outages and customers to track their energy usage. The companies are required to invest a total of $3.2 billion in the grid over 10 years. The measure also requires ComEd to create 2,000 new jobs through the plan and Ameren to create 450 jobs. If they do not meet those goals, they will be subject to fines. Gov. Pat Quinn adamantly opposed the legislation and vetoed it once it reached his desk. But the General Assembly overrode his veto in the fall session. After several businesses threatened to leave the Illinois, lawmakers voted to give tax breaks to some to try and stem job loss in the state. The package will give about $200 million in tax breaks to the CME group, and Sears. The plan contains other breaks meant to help businesses throughout the state — such as an extension of the research and envelopment tax credit and a reinstatement of the net operating loss provision in 2012 for losses up to $100,000. The package also offers tax breaks for individuals in the form of increasing the Earned Income Tax Credit from 5 percent of the federal credit to 10 percent over two years and linking the standard exemption to federal cost of living increases. In total, it is projected to cost about $300 million next fiscal year and $350 million by fiscal year 2014. Expect the issue to get plenty of lip service, and maybe even some action, next year. Other noteworthy pieces of legislation failed to gain in 2011 the support needed to become laws. However, the sponsors of many such bills say they will fight on. Rep. Lou Lang, a Skokie Democrat, will likely spend some time in 2012 trying to hammer out a plan gaming expansion that can pass in both chambers and gain Quinn’s signature. A plan he sponsored passed in 2011, but Quinn said it was too large of an expansion and refused to sign a bill that would allow slot machines at horse racing tracks. Without the slots for the tracks, Lang could not find the support to pass a scaled back gaming package during the fall veto session. Lang has also vowed to continue to push a bill that would allow the chronically ill access to medical marijuana. He has called various versions of such a proposal but has yet to find enough support to pass the plan in the House. House Republican Leader Tom Cross has been unable to find the support to pass his plan to reduce pension benefits for current state employees, but he has been able to pass bills to try and reign in what many saw as abuses of the system. With a pension payment that is projected to be $5.3 billion — about $1 billion more than last fiscal year — expect to hear more about potential changes to benefits. Illinois is the last state to allow the concealed carry of firearms, and a sponsor of a bill that would allow it says it “only a matter of time” before it happens here. The legislation failed in the House this year, but sponsor Brandon Phelps is working to drum up the votes and says he is only “five or six votes away” from House approval. “Forty other states are not wrong, I believe, and it’s not the Wild West anywhere else,” said Phelps, a Harrisburg Democrat. There are pending court cases, as well as federal legislation, that could also potentially open up the state to concealed carry. The new law that will likely have the broadest impact on Illinoisans is House Bill 219 (Public Act 97-0016). After January 1, passengers in the back seat of vehicles will be required to wear their safety belts. Passenger of emergency vehicles and taxis will be exempt. Those who do not wear seatbelts will be subject to a fine. Motorcyclists can proceed after waiting a “reasonable” amount of time at a red light if it fails to change according to HB 2860 (PA 97-0627). Traffic signals can sometimes fail to register the weight of a motorcycle and will not change as they would for another vehicle. Motorcyclists in such a situation are required to yield to oncoming traffic. HB 263 (Public Act 97-0154) will require first-degree murderers who have been released from prison to register with the state as part of an online database searchable by the public. Those released 10 years prior to the new law will not be required to register. Under HB 3281(PA 97-0340) school boards will be able to suspend or expel any student who makes an online threat to another student or school employee. Those accused of certain crimes, including murder, home invasion and sexual assault will be required to provide a DNA sample. HB 263 (Public Act 97-0154) requires that DNA be destroyed if the arresting charges were dismissed or if the individual was acquitted. Judges will be required to consider the least restrictive options when sentencing a juvenile offender. Under HB 83 (PA 97-0362), incarceration must be the last resort after all other options have been exhausted or deemed inappropriate. Illinoisans will not be able to toss out old computers, and other electronic waste and landfills will no longer be allowed to accept such unwanted items. Electronic devices that cannot be thrown in the trash under Senate Bill 2106 (PA 97-02870) will include: televisions, keyboards, video game consoles, DVD players, fax machines and MP3 players, such as iPods. Consumers who throw away such items face a $25 to $50 fine, and businesses face a fine of up to $500. Instead of pitching such devices, consumers will have to take them to recycling centers. People who make foods such as certain baked goods, jams and fruit butters for sale at farmer's markets by themselves or family members can prepare such foods in their home kitchens. The law previously required that so-called “cottage foods” be made in an industrial kitchen. The exemption in SB 840 (PA 97-0393) is for anyone who sells less than $25,000 worth of food in a year. Shining a laser, such as commonly found laser pointers, at an airplane that is in taking off, in flight or landing will be a Class A misdemeanor under HB 167 (PA 97-0153). For a complete list of the 214 laws that will go into effect on January 1, see Senate Minority Leader Christine Radogno’s website. One Illinois lawmaker says the first step to repairing the faltering College Illinois prepaid tuition program is making its investment decisions public. Rep. Jim Durkin recently filed legislation that would require investment decisions for the program to take place in meetings that are open to the public. Such decisions are currently exempted under the Open Meetings Act. Durkin’s bill, House Bill 3923, comes after the Illinois Student Assistance Commission announced it has suspended the sale of College Illinois contracts until reforms to the program can be made. A recent report from ISAC showed College Illinois had a deficit of $559 million and was underfunded by about 30 percent as of March 2011. A state audit of the program released last summer found problems with the way ISAC chose contractors for investment advice. Durkin, a Republican from Western Springs, also takes issue with the types of investment being made, which have shifted to include investments in hedge funds, private banks and real estate along with the more traditional stock and bond purchases. “We’ve got some time between now and the end of January to discuss what type of legislative changes need to be enacted,” Durkin said. The House is scheduled to return for the spring legislative session on January 31, 2012. Durkin said that administrators should be included in the conversation because he said that the growing costs of tuition in the state are also contribution to College Illinois’ woes. “The rising cost of [college education] has caused stress upon the value of the funding within the system,” he said. 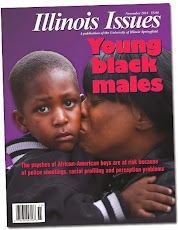 For more on the problems facing College Illinois, see Illinois Issues May 2011. Just a day after passing a tax break package that would benefit some businesses, House lawmakers on both sides of the aisle are pushing for a rollback of corporate portion of the recent income tax increase. “I think people at the time of the increase of the corporate tax realized that that was not the route to go,” House Minority Leader Tom Cross said. “Business after business potentially will be coming to the state and looking for relief, and doing it on a per-company basis is not the way to go.” Under Cross’ plan, House Bill 3918, the corporate rate would drop from the current 7 percent to 6 percent in 2013 and would return to 4.8 percent, the rate before the increase, in 2014. Any unemployment rate increase of more than .3 of a percentage point over a four-month period would trigger a .25 percent reduction in the corporate tax rate as well. However, the rate could not dip below the 4.8 percent mark. Under current law, the corporate rate will decrease to 5.25 percent in 2015 and go back to 4.8 percent in 2025. The proposal comes the same week lawmakers approved a tax break package geared toward keeping Sears and the CME Group, which owns the Chicago Mercantile Exchange and the Chicago Board of Trade, in the state. Both companies had threatened to leave. The package included an extension of tax breaks for Sears that were set to expire and a reconfiguration of the way CME’s corporate income tax bill is figured based on its electronic sales. The plan also included other business friendly provisions, such as a reinstatement of the earned operating loss tax credit, which was suspended when lawmakers approved the income tax increase last January. Business leaders supporting Cross’ proposal called the plan passed this week a “first step” toward making the state more business friendly. They say the second step is cutting tax rates for all other corporations in the state. “In January of 2011 … we advised the members of the General Assembly that the corporate tax increases that were being proposed would be a serious mistake. And indeed, we’ve had a serious backlash and an ongoing discussions about taxes all throughout the year,” said Doug Whitley, president of the Illinois Chamber of Commerce. Senate President John Cullerton said he supports lowering the tax rate if the taxing base is broadened and the revenue coming in remains the same. He said a tax increase approved by the Senate in 2009 — which would have extended sales taxes to many services but only raised the corporate income tax to 5 percent — would have done the trick. “That provision was rejected by the House, and it did not pass. And as a result, when we negotiated the tax increase [that passed earlier this year], the corporate tax was as high as it was,” Cullerton said. Bouman — who is also a member of the Responsible Budget Coalition, which supported the income tax increase — said the state should instead focus on getting out of its budget hole and paying its billions in overdue bills. “The public supports a balanced approach to this that includes revenue and also includes spending reforms, but it requires a sustained effort on both of those … because we’re not out [of the budget hole] yet. We’re not balanced. The bills aren’t being paid.” He said HB 3917 and HB 3918 do not appear to be “aimed at any kind of coherent economic or tax policy” but are instead “pretty clearly political moves” being made by lawmakers running for reelection. Two companies threatening to leave the state will likely stick around if Gov. Pat Quinn signs tax breaks the Illinois Senate approved today, but some lawmakers say it isn’t worth the price tag. The Senate passed two bills today that contain a plan similar to one piece of legislation that the chamber approved two weeks ago. That bill only received eight “yes” votes in the House. “The bill was separated into two pieces to allow folks who feel pretty strongly on one or the other bill to vote their consciences,” said Sen. Toi Hutchinson, sponsor of the package. Senate Bill 400 offers tax breaks for individuals in the form of increasing the Earned Income Tax Credit from 5 percent of the federal credit to 10 percent over two years and linking the standard exemption to federal cost of living increases. SB 397 has tax breaks for Sears and the CME Group, which owns the Chicago Mercantile Exchange and the Chicago Board of Trade. Sears and the CME group both threatened to leave the state in recent months. A previously approved tax credit for Sears was set to expire. The CME Group argued that it was being taxed unfairly because its income tax bill, which is based on profits made from sales, counted all sales as taking place in Illinois, but the company makes many of its sales online to customers outside of the state. Under the plan that passed today, 27.54 percent of the company's electronic sales would be used to calculate its Illinois tax bill. The package also includes tax changes meant to help businesses throughout the state, such as an extension of a research and development credit and reinstatement of a net operating loss credit. The plan is projected to cost about $300 million next fiscal year and $350 million by fiscal year 2014. Opponents said that the state cannot afford the plan. Many argued that giving tax breaks to companies that threaten to leave favors big business with the means to lobby the legislature and opens the door for a rush of companies threatening to leave unless the state gives them something as well. “These special deals are bad public policy,” said Sen. Kyle McCarter, a Lebanon Republican. “This is a great bill for lobbyists, in fact maybe we can rename this bill the lobbyist dream act. Because every business in this state will and probably should line up to get their money back, and they are going to need a lobbyist. Sears has indicated that if Quinn signs the plan, it will stop shopping around for a potential move. James Parasi, chief financial officer for CME, told a House committee Monday that the passage of the plan into law would keep the CME Group in the state for years to come. Report finds Illinois juvenile justice system is "failing"
A new study has found that more than half of youth imprisoned by the Illinois Department of Juvenile Justice ended up back behind bars. For seven of the last eight years, more than half of the incarcerated juveniles had been locked up over parole violations, such as truancy or curfew offenses. The report said, “On any given day, approximately 40 percent of incarcerated youth are technical parole violators.” The study found that 2 percent of all the incarcerated population was made up of offenders who committed a new crime while on parole. George Timberlake, chair of the commission and a former judge, said that many youth are going back to jail for “typical teenage” behavior.” The report said: "An essential measurement of any juvenile “reentry” system is whether youth returning from incarceration remain safely and successfully within their communities. By this fundamental measure, Illinois is failing." A 2009 law called for the commission to conduct the study and make recommendations on how DOJJ could do a better job of helping youth offenders become productive members of society. The state commission, which advises the DOJJ, looked into 230 prisoner review board hearings on juvenile cases and the cases of 400 juveniles whose parole had been revoked. The report said a major problem is that the DOJJ, which was split off from the DOC, continues to use an adult parole system through the DOC. The commission said this one-size-fits all system is only geared toward policing youths’ behavior after release and does nothing to address their needs or help them make connections to schools, services, employment and their communities. “Responding appropriately to the differences between youth and adults does not require absolving youth of accountability for harmful behavior. Instead, it requires skilled professionals charged with moving a youth toward successful and safe return to the community,” the study said. Commissioners said that this failure of the DOJJ parole system to address the needs of youth and its focus on “surveillance” rather than rehabilitation contribute to the high rate of juvenile recidivism. Timberlake said that parole hearings for youth, conducted by the Illinois Prisoner Review Board, are brief — sometimes lasting only minutes — and the board gave many of parolees the same terms for release. “We found them rushed, to say the least,’ he said. “Often they were the same conditions time after time after time.” He said many children were not aware of their rights, did not have legal representation and did not understand the proceedings. The report found that the proceedings were improperly recorded, and there was no system to review or reassess the board’s decisions. The commission recommended that if a juvenile faces losing parole and going back to a detention center, a court and not the review board should make that decision. Timberlake said that moving such cases in the court system would mean about one more case a day in Cook County, which would have the most cases. He said as time goes on and fewer youth are in the system, because parole changes would help more stay out of detention centers, the number of cases gets even smaller. “When you look at the numbers, it’s very doable now. And when you look at the future, it’s not even a blip on the screen.” The report said that the review board should document its hearings more thoroughly, and a legal advocate should be on hand for youth that do not have a lawyer. The report also recommended that parole conditions be tailored to each offender and offenders have individual plans to help them get back on their feet. Case plans might include access to mental health treatment, addiction services or family counseling after release. The report said that holding a youth behind bars for one year costs $86,861. Timberlake said that community-based services, such as counseling, cost between $4,000 to $7,000 a year. “The economic ripple effect of incarceration inflates taxpayer costs even more. In human terms, we must do better for our young people and our communities. In fiscal terms, we simply cannot afford to continue business as usual,” the report said. Commissioners and Bishop acknowledge that it may be difficult to find the money needed to execute the commission’s recommendation during the current budget crisis. Bishop said a previous plan from Gov. Pat Quinn to merge DOJJ with the Department of Child and Family Services has been abandoned. But he said DOJJ is working with DCFS and other agencies to provide wrap-around services to youth offenders and their families and to try to recoup federal Medicaid dollars whenever possible. “I think in some ways, we’re not just having to add new money to accomplish this, but use some services more wisely," he said. “Certain things will cost money up front,” said Julie Biehl, a commission member and director of the Children and Family Justice Center at Northwestern University Law School. The commission plans to release a fiscal analysis of its recommendations sometime in the next few months. A package of tax breaks that failed miserably in the House just two weeks ago passed in the chamber today after undergoing some tweaks. The main change supporters made to the plan was cutting it into two bills. Senate Bill 400 contained tax breaks for individuals, including raising the Earned Income Tax Credit from 5 percent of the federal credit to 10 percent over two years, and linking the standard personal exemption, which is given to all taxpayers, to federal cost-of-living increases. SB 397 included tax breaks tailored to specific businesses, as well as some cuts geared toward improving the business climate in the state. The two bills passed today with bipartisan support. SB 397 received a whopping 81 “yes” votes, which is a far cry from the 8 “yes” votes that a similar plan passed by the Senate received on November 29. Rep. John Bradley, who sponsored SB 397, said splitting the plan into two bills made all the difference. He said the move allowed lawmakers to vote for the components they felt were most worthy without feeling like they were being log rolled into passing something they opposed. “These two bills put together are pretty much the same as the single bill that was defeated two weeks ago,” said Rep. David Harris, a Republican from Arlington Heights who worked with Bradley on a lower-cost House plan that was never called for a vote. “I think that such is the nature of Springfield, that we end up having two bills instead of one — two bills that pretty much do the same thing but end up costing more than one.” However, Harris spoke in favor of both bills, saying that the plan was worthwhile, even if it was not ideal. Bradley said the plan approved today would have no impact during Fiscal Year 2012, would cost less than $300 million in FY 2013 and would cost less than $350 million in FY 2014. Other Republicans said the tax cuts for individuals simply cost too much and did not include enough relief for middle-class residents. “This state is penniless. I don’t know that anyone disagrees with it. We all want to help people, but I think if we do it we need to do it on a broad-based … basis,” said Rep. Dwight Kay, a Republican from Glen Carbon. Floor debate on the package was briefly interrupted after protesters in the House gallery unfurled a large banner urging lawmakers not to give in to threats from businesses by offering them tax cuts. The banner hung down into the chamber until House security snatched it away and escorted the protesters out of the gallery. The push for the bills that passed today started after the CME Group, which owns the Chicago Mercantile Exchange, and Sears threatened to leave the state. The plan includes tax breaks for both companies, as well as southern Illinois manufacturer Champion Labs, which was added to the deal in the last two weeks. James Parasi, chief financial officer for CME, told a House committee this morning that the passage of the plan into law would keep the CME group in the state for years to come. And Sears thanked lawmakers for approving the plan. "We thank the House of Representatives for passing legislation today aimed at keeping Sears an Illinois company. This is a major step in the process. We appreciate the House's efforts and are hopeful that when the Senate returns tomorrow, it will follow suit,” Sears spokesman Chris Brathwaite said in a written statement. Bradley’s bill included some ideas brought up during the summer hearings, including a return of the net operating loss credit for businesses, which lawmakers voted to suspended as part of the recent income tax increase, and an extension of a research and development tax credit. Bradley said those provisions should help small- and medium-size businesses throughout the state. He added that a measure creating a larger exemption for the estate tax would help family farmers when their land and operations are passed down to their heirs. Bradley has vowed to continue legislative efforts to reform the state’s tax code. Opponents to the tax cuts for businesses said the state cannot spare the revenue in a time when other vital programs such as education are being cut. “I am outraged that the state of Illinois would give the CME group a tax break while education spending in the state is languishing, and quite frankly, in a state of absolute crisis,” said Kit Main, a member of the Chicago-based community organization Northside P.O.W.E.R. and the group Make Wall Street Pay Illinois, told a House Committee this morning. House Republican Leader Tom Cross, who worked with Bradley on the bills that passed today, acknowledged that many in the House disliked some parts of the plan. “There’s a lot of angst on this bill today, I realize that.” But Cross said lawmakers will take many difficult votes in the future, especially in regards to the state’s budget. He said $1 billion more in pension obligations due next year, as well as a stack of Medicaid bills that will be pushed into FY 201,3 would result in the need for unpopular budget decisions. We no longer have any easy choices,” Cross said during floor debate. “You think today’s tough? You think today is a difficult vote. I can’t imagine what it’s going to be like next year. … You ain’t seen nothing yet.” Cross called for sweeping reforms to the tax code, including a reduction in the corporate income tax rate. “If we are going to accept the fact that this state is in as bad of shape as it is — and it is — and we want companies to stay, the picking and choosing [for tax breaks] has got to stop.” Cross said he was optimistic about the Senate approving the two bills when they are in session tomorrow because they are much like a plan the chamber approved two weeks ago. After state legislation to allow concealed carry of guns in Illinois was shot down, some Illinois lawmakers are working at the federal level to open the door to concealed carry in the state. U.S. Rep. Timothy Johnson is sponsoring a bill that would allow individuals who hold concealed carry licenses from other states to carry firearms in Illinois. “Overturning this prohibition in Illinois is long-overdue,” Rep. Johnson said. “Law-abiding citizens deserve the right to protect themselves. Over 100 years of Supreme Court rulings and the 14th Amendment guarantee that no state can deny the rights and privileges of any citizen. The Second Amendment could not be more clear on this issue. Forty-nine other states understand this and have reasonable policies in place to ensure that only law-abiding people willing to go through authorized safety training are permitted this right. The only reason Illinois is the exception is Cook County. This is not acceptable,” Johnson said in a written statement. State Rep. Brandon Phelps, a sponsor of legislation that would allow concealed carry in Illinois, said he supports Johnson’s bill. Phelps' bill to legalize concealed carry failed in the Illinois House earlier this year. He said Illinois residents currently hold licenses for concealed carry in other states, and those licenses should apply here. Illinois is the only state in the union that does not allow some form of concealed carry after Wisconsin legalized concealed carry earlier this year. Phelps thinks it is “just a matter of time.” Before some form of legal concealed carry happens in Illinois. He points to several pending court cases on the issues. “If it goes through the courts…it will be wide open.” He said his bill is preferable, because it contains restrictions on eligibility and where weapons can be carried. He said if Johnsons’ bill becomes law, he would back a state plan that would add some restrictions. “Forty other state’s are not wrong, I believe, and it’s not the Wild West anywhere else,” Phelps said. Members of the Illinois House working on a plan geared toward keeping businesses in the state say they have reached a deal. Lawmakers returned to the Statehouse last week in hopes of passing tax breaks for Sears and the CME Group, which owns the Chicago Mercantile Exchange and the Chicago Board of Trade. Legislation passed in the Senate but only received 8 “yes” votes in the House. John Bradley, sponsor of a separate House plan, announced that he would not call his bill in that chamber because he lacked to support to get it through. Senate President John Cullerton said that Bradley’s measure could not pass in the Senate. The House and Senate plans differed in the size of tax breaks individuals would receive. The House plan would have increased the Earned Income Tax Credit from 5 percent of the federal credit to 7.5 percent, but the Senate version would have increased the credit to 10 percent over two years. The General Assembly left without approving a plan, and House Democrats and Republicans have been working to reach a deal since. Supporters hope to have better luck when legislators return next week. “After days of carefully weighing the costs and benefits of possible proposals, [House Minority Leader Tom] Cross and I crafted a bipartisan package of tax relief that will keep jobs in Illinois, spur further investment in new products by our manufacturers and provide tax relief for families and small businesses,” Bradley, a Marion Democrat, said in a written statement. The “deal” is very similar to the plan that passed in the Senate, but this time the plan is split into two bills. Some Republicans in the House did not support the tax cuts for individuals in the plan, and some House Democrats were unwilling to settle for the smaller individual tax breaks contained in the House proposal. Splitting the two will allow lawmakers to vote for the aspects they support without having to vote for the other portion. Cross has pledged Republican support for the business tax incentives, something he did not do for the first version of the plan. “We have come to an agreement on a jobs package that will give some relief to a broad base of businesses in our state. This package will allow businesses to plan on longer term research and development and the ability to carry their losses forward in a tough economy. It will also lessen the tax burden on our family farmers and small businesses,” he said in a prepared statement. Champion Labs in Albion has been added to the deal. The southern Illinois manufacturer would receive a credit that would cost the state $3.5 million over 10 years. The plan also includes other tax cuts that sponsors say will help businesses across the state, such as an extension of a tax break for research and development. Gov. Pat Quinn said he would not sign a plan unless is contained “significant relief for working families.” He did support the Senate proposal, and the new agreement includes the larger increase to the Earned Income Tax Credit — 10 percent over 10 years. It seems unlikely that Quinn would sign the business tax breaks bill unless the measure including the individual tax cuts also makes in to his desk.“The governor is very encouraged with the bipartisan agreement reached in the House. Before veto session, we brought the leaders to the table with the goal of delivering economic growth and tax reform that would provide relief to working families and help employers put more people to work,” Brooke Anderson, a spokesperson for Quinn, said in a written statement. “As we head into Monday's session, we'll continue working closely with the leaders and sponsors to get the job done. A spokesperson for Cullerton said the president’s staff is still reviewing the new bills. The House is scheduled to return to Springfield on Monday, and the Senate plans to be back in session on Tuesday. Is Blagojevich's sentence enough to deter corruption? Almost three years after his arrest on corruption charges, former Gov. Rod Blagojevich was sentenced to 14 years behind bars today, but some say the work to clean up “pay to play politics” in the state is not done. “The long Blagojevich nightmare is over,” Andy Shaw, director of the Better Government Association, said in Chicago after the sentence came down today. While the sentence is shorter than the 15 to 20 years that prosecutors requested for Blagojevich's 18 felony convictions, it is the longest prison term ever doled out for corruption in the state. Blagojevich was reportedly contrite today when he addressed U.S. District Judge James Zagel, saying he was sorry and that he has no one to blame but himself. According to the Chicago-Sun Times, Zagel told Blagojevich, “When it is the governor who goes bad, the fabric of Illinois is torn and disfigured and not easily or quickly repaired.” Blagojevich is must surrender on February 16, 2012. Under federal guidelines, he is required to serve 85 percent, almost 12 years, of his sentence. He was also hit with almost $22,000 in fines and penalties. However, after the sentencing, Blagojevich vowed to fight on. “This is a time to be strong. This is a time to fight through adversity. This is a time for me to be strong for our children, be strong for Patti,” he told reporters in Chicago. “We’re going to keep fighting on though this adversity, and we’ll see you soon.” Blagojevich dusted off one of his favorite literary works, quoting Rudyard Kipling’s If, a poem he has been citing in speeches for years. Lt. Gov. Shelia Simon said Blagojevich’s sentence does not ensure an end to political malfeasance in the state. "We cannot rely on a prison sentence to deter corruption,” Simon said in a prepared statement. “Illinois needs stronger ethics laws to kill pay-to-play politics. It's time we expose conflicts of interest before they cost taxpayers, and clear the way for true public servants to rebuild trust with the public. Increased transparency, coupled with the threat of serious prison time, can end these shameful courtroom battles. Together we can put this chapter behind us, restore integrity to government and live up to our legacy as the Land of Lincoln.” Simon, who served on an ethics commission that made recommendations to the General Assembly in the wake of Blagojevich’s impeachment and removal from office, said the former governor’s conviction and sentencing provide an opportunity to have “public conversation again” about ethics in the state. For more on the lack of civic education in Illinois schools, see Illinois Issues, September 2011. For more on the history of political corruption in Illinois, see Illinois Issues Blog, December 2008. For courtroom reporting on the sentencing, see the Chicago-Sun Times and the Chicago Tribune. State Treasurer Dan Rutherford said today he will not keep quiet about his thoughts on state borrowing or Illinois’ dire financial situation. Last week, Gov. Pat Quinn voiced frustration over Rutherford’s recent comments on the state’s debt and financial standing. Rutherford called Illinois the “most bankrupt state in the nation” and has publicly warned Wall Street investors not to buy more of the state's debt. Quinn has argued that the interest costs on loans would be cheaper than the interest the state is required by law to pay vendors on late bills. “I think if we do it in a good public finance way, we can save the taxpayers millions of dollars and help our business get paid the vouchers and invoices that they have quicker.” The plan has failed to gain traction in the legislature. Rutherford made his comments today at a news event announcing the start of an online auction to sell unclaimed property. After unclaimed property left in safety deposit boxes is held by banks for five years, it is passed on to the treasurer’s office, which then tries to locate the rightful owners. If the owners cannot be found, the state auctions off the property. Rutherford said the state has been searching for the owners of everything in the current auction for at least five years. If owners come forward after an item has been sold, they are still entitled to the cash amount that the item was appraised for. Rutherford said of unclaimed property, much of which is kept in a vault under the state Capitol building, “it never becomes the property of the state. As the treasurer, I’m only the caretaker.” The online auction started today and will close December 11. Rutherford said holding the auction online will bring the cost to the state down from about $29,000 to about $2,000. Illinois retailers are renewing a push for a federal law that would require online vendors to collect taxes on their sales. Illinois lawmakers passed a law earlier this year that requires online sellers to collect state taxes if they work with marketers located in the state. Amazon.com and Overstock.com severed ties with marketers Illinois, which led to a few of such businesses to leave the state. The U.S. Supreme Court ruled that states cannot require businesses to collect the tax unless they have a physical presence in the state. While the Illinois law may have chased off some businesses, proponents say it helped to draw national attention to the issue. Illinois' law has begun to bring in some tax dollars. According to the Department of Revenue, dozens of Internet retailers have registered with the state. Sue Hofer, a spokesperson for the department, said it does not yet have figures on how much is being collected under the law. “We are making process. It’s not everyone, and it certainly isn’t several of the much larger ones," Hofer said. Until recently, Amazon and other large online retailers either cut ties in states that tried require them to collect taxes or fought the issue in court. Amazon lost its legal battle in New York and currently collects taxes there. However, the company worked out a deal with California lawmakers that has led to Amazon actively lobbying for a law to address the issue nationally. If a national solution does not pass, Amazon has agreed to collect taxes in California next year. U.S. Sen. Richard Durbin has backed a national solution for years, but retailers, both online and brick and mortar, say a new version of the Illinois Democrat's plan has a real shot at approval in Congress. Bricks-and-mortar retailers maintain that not collecting the taxes gives online sellers an advantage because they can offer what seems to be a lower price. Illinois residents who buy goods from non-collecting Internet retailers still owe the tax and are required to declare their purchases on their income tax returns. This was the first year that the Illinois Department of Revenue included a line on tax returns specifically for online purchases. According to the department, residents declared their purchases on about 270,000 returns, bringing in an estimated $11 million in revenue for the state. Those advocating for Durbin’s plan say that is a fraction of the revenue that could come in if online retailers were required by Congress to collect the tax. David Vite, president of the Retail Merchants Association, says expecting customers to keep track of their online purchases — as well as differentiate between a seller such as Target that does collect the sales tax because it has stores in the state and one such as Amazon that doesn’t — isn’t realistic, and the consequences for getting it wrong are too dire. “They are confronted with possible perjury charges. They are filing a false income tax return. That’s not fair to the customer. That’s not fair to the citizens,” he said. A new plan, called the Marketplace Fairness Act in the U.S. Senate and the Marketplace Equity Act in the U.S. House, would allow states to require tax collection if they take steps to streamline taxes and make the process simpler for retailers, which would likely be collecting taxes across multiple states. Previous versions would have required states to sign onto a universal Streamlined Sales Tax Agreement. Under the new proposal, states could sign onto the agreement or take less sweeping steps to simplify tax collection, such as agreeing to a universal classification of items for taxing purposes. Currently, a snack cake may be classified for taxing purposes as food in one state and candy in another, or a scarf might be clothing in one state and an accessory in another. These different classifications might also be taxed at different rates. The goal is to build a classification system that applies nationwide. “The Market Place Equity Act would be easier to comply with for the state of Illinois,” Vite said. The act is currently held up in Congress over concerns about what size businesses it should apply to. Lawmakers are considering an exemption for small business. Talks on the exemption size range from businesses bringing in $500,000 each year to up to $1 million. Some retailers, such as eBay, say that a small business exemption in the law should be larger, potentially up to $30 million.